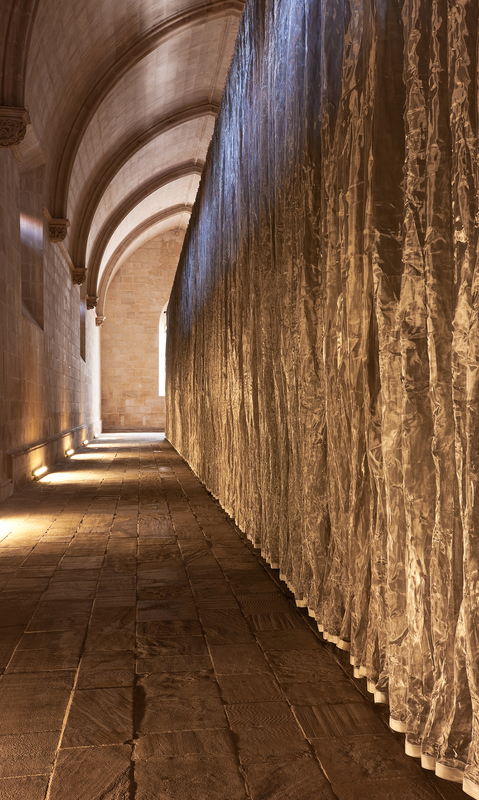 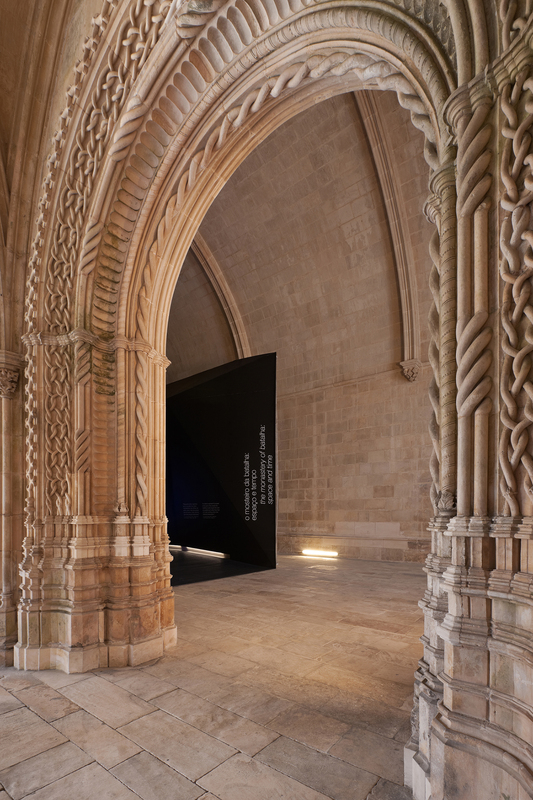 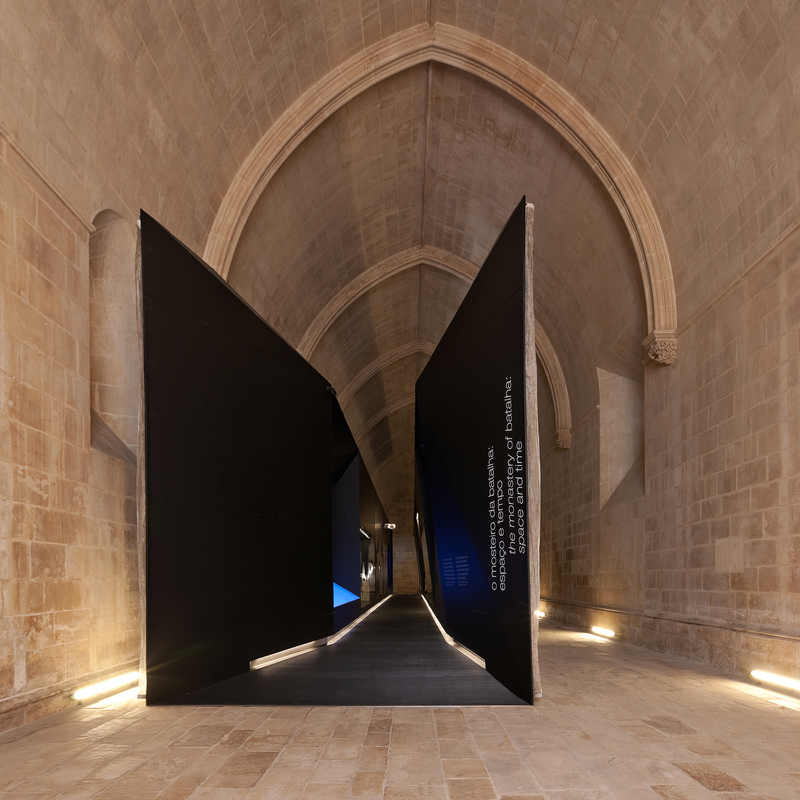 Given the historic context and in order to minimize impact on the Monastery, the Interpretative Center appears as a flexible and autonomous structure which is slightly raised above the ground. 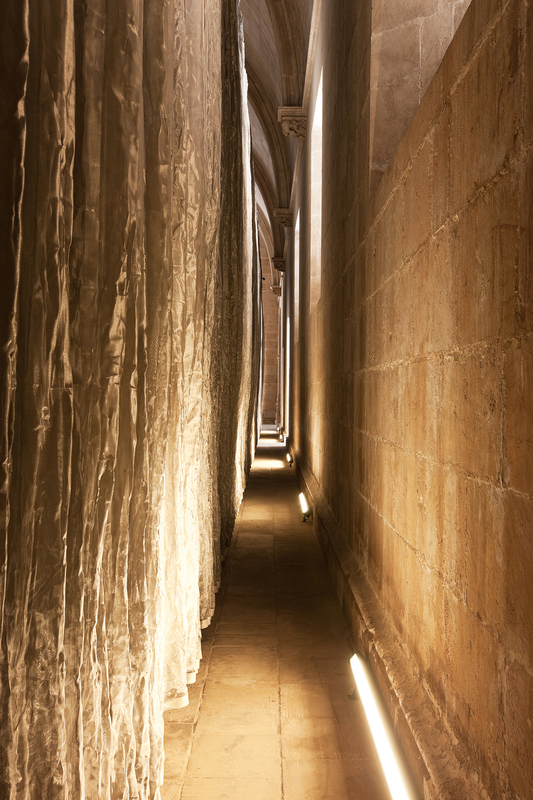 This massive space was put to different uses during its history and the marks left by this occupancy dictated the height and scale of our work. 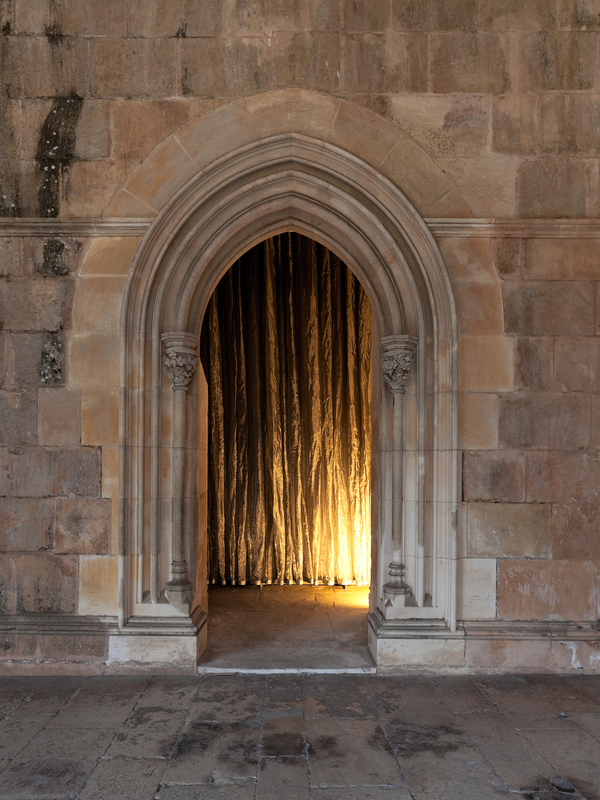 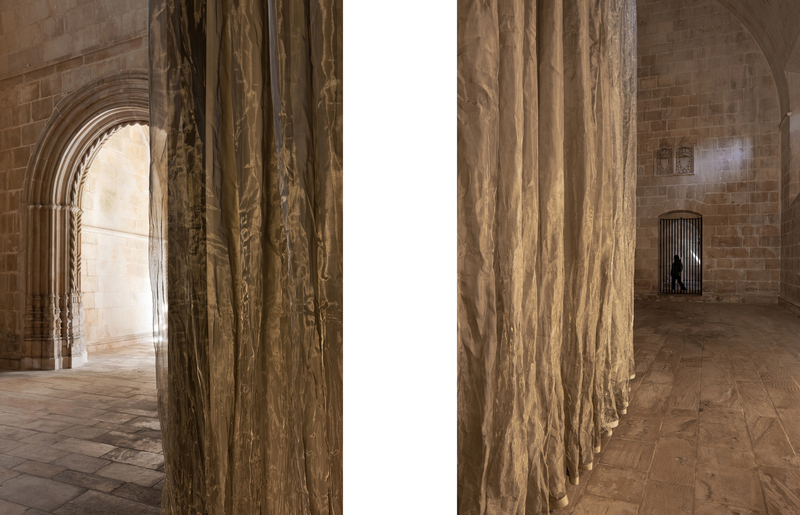 Its visual dematerialized presence is characterized by the use of a curtain with various soft net veils where the warm light accentuates almost theatrical scenic effect that leads to the narrative that we are about to experience. 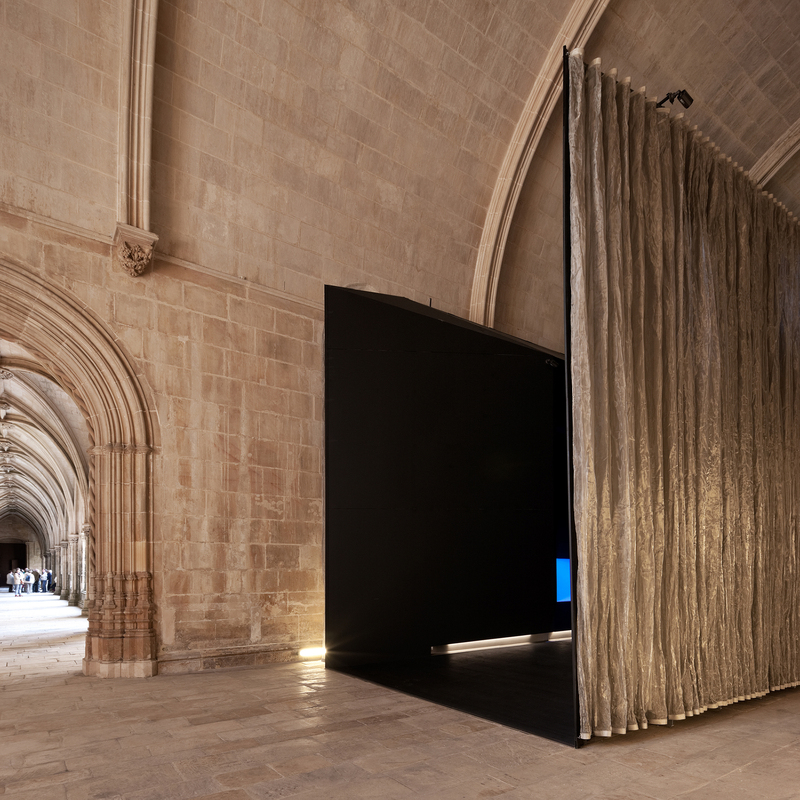 Ânimos impellere – in its abstract form the curtain is the first step along the path towards discovery of this narrative. 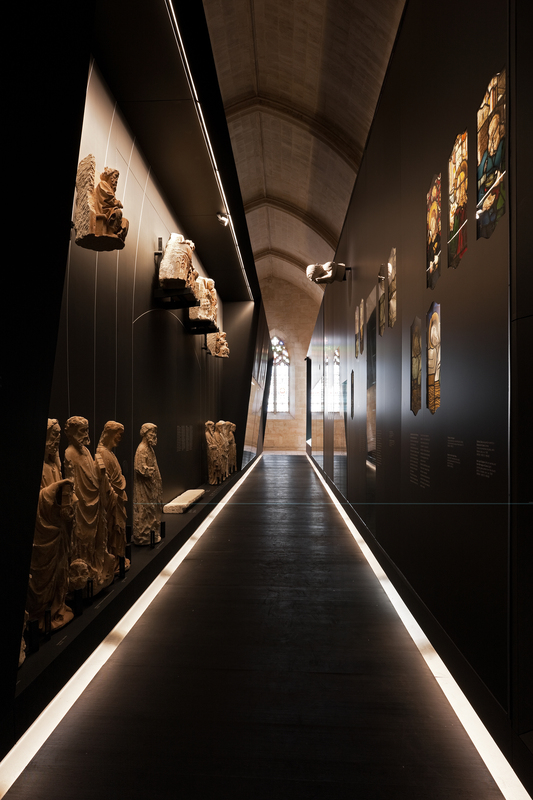 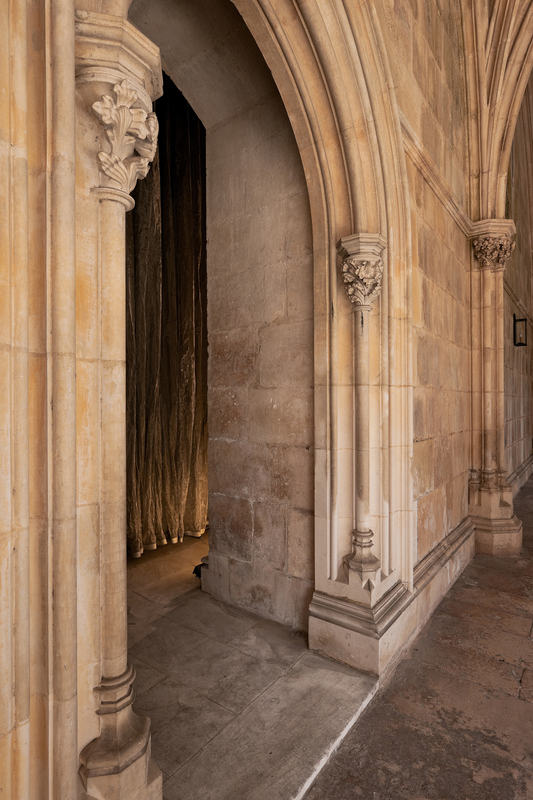 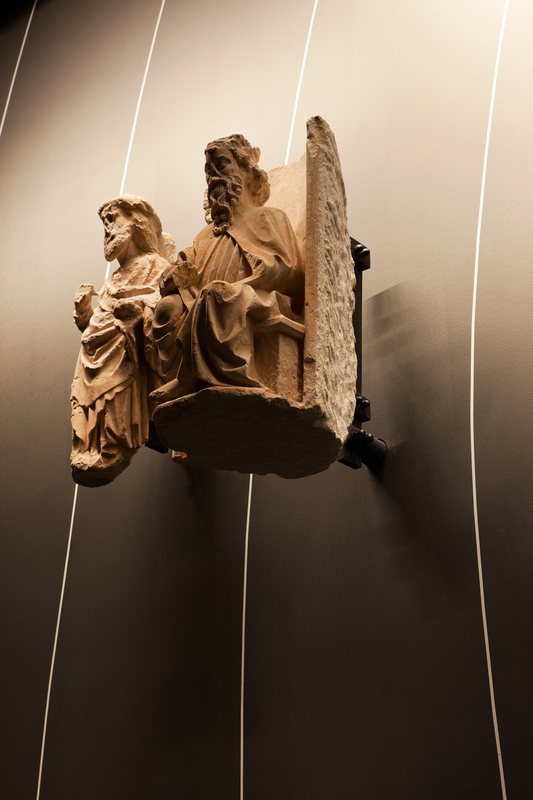 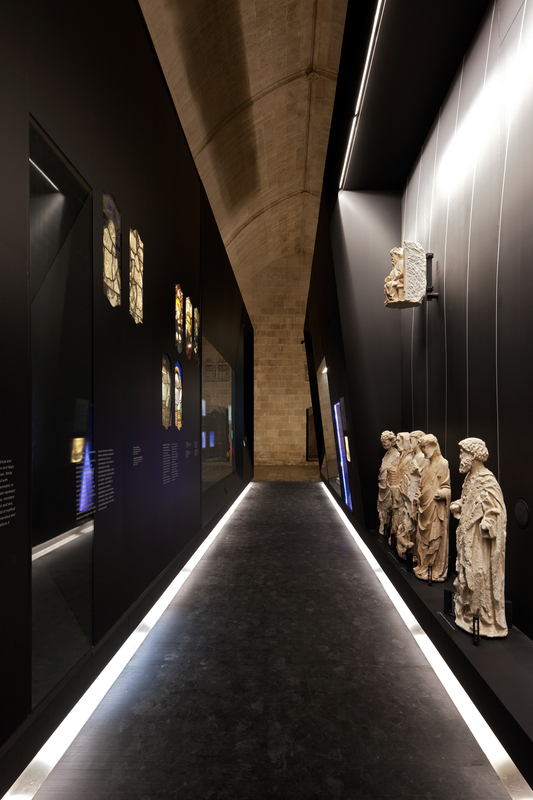 The exhibition combines original 14th century objects from the monastery – stain glass and statues (sculptures) –with the contemporary language of multimedia – videos and sound – leading visitors to enjoy a true “theater of memory”.